Can there be Sustainable Development without Peace? Last week, WILPF reiterated its call to promote a conflict prevention approach to the Post2015 development agenda that strengthens women’s participation, rights, and peace. On the 18th of June, WILPF met with the 28-state initiative, Friends of the 1325, which, under the leadership of Canada works for continued implementation of United Nations Security Council Resolution (UNSCR) 1325. It was the first meeting of the Friends dedicated to addressing the Post2015 Sustainable Development Goals (SDGs), which are intended to start once the Millenium Development Goals (MDGs) expire in 2015. WILPF presented our Open Letter, signed by over 100 organisations worldwide, calling for peace and gender to be integrated in the next development agenda through a stand-alone sustainable development goal on peaceful societies, a stand-alone goal on gender equality, and mainstreaming of peace and gender throughout the SDGs. On the 2nd of June, the Zero Draft of the SDGs was released, which contains proposals for goals and targets for the next development agenda. Stand-alone goals to “Achieve peaceful and inclusive societies, rule of law, effective and capable institutions,” and to “Attain gender equality, empower women and girls everywhere” were included in the zero draft. In addition to these goals, the Zero Draft includes some targets addressing with key Women Peace and Security (WPS) issues. These include: inclusive participation, small arms and light weapons, protection of refugees and Internally Displaced People (IDPs), and access to justice. Inclusions of these issues show progression, however, there is more is needed. In particular, the draft does not address conflict as a contributor to risk and vulnerability or consider innovative financing mechanisms such as reducing military spending to free up resources for gender equitable development, and inadequately integrates conflict and gender throughout. As negotiations move forward, it is critical to strengthen WPS issues in the SDGs. 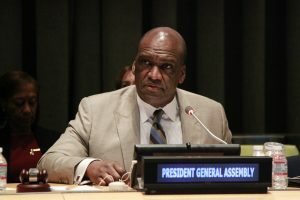 Opportunities to engage on this include the final session of the United Nations General Assembly (GA) Open Working Group on SDGs 14th -18th July, the financing session on 4th-8th August, and September’s General Assembly. 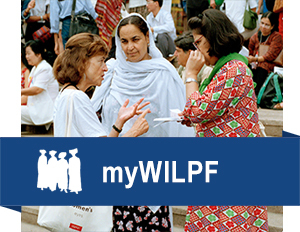 WILPF believes that an integrated approach is necessary to address the root causes of conflict and gender inequality. Unless steps are taken in regards to the root causes, the goal of achieving sustainable development and peace will fail. WILPF welcomes the steps taken and the progression in the Zero draft, but reiterates that continued support for stand-alone goals on peaceful societies and gender equality is critical. We must prioritise peace and gender equality in the next development framework for sustainable development and peace. With the release of the first draft, now is the time for civil society to reach out to states and advocate for the inclusion of a conflict prevention approach in the next development agenda. Join us by reaching out or have your organisation endorse our Open Letter. Follow WILPF Gender, Peace and Security Programme on their Facebook and twitter on this issue through our hashtag #DisarmSDGs. Share with us your opinion, what do you think of the Zero draft? We welcome your thoughts in the comments below!